West River Trail Run featured in the Manchester Journal. Celebrate National Trail Day by participating in the fourth annual West River Trail Run Saturday, June 4, known as 11 Miles of Trouble after the infamous 36 miles of trouble along the West River. Over 130 years ago, the trail was 36 miles of railroad from South Londonderry to Brattleboro, trouble because of its narrow gauge and winding route leading to undependable service. Luckily for trail run participants that means a moderately challenging, beautiful race through various terrain. Woods, waterfalls, and switchbacks will be seen throughout the 11 miles from South Londonderry’s Depot to Jamaica State Park. The first 200 individuals to register will receive a t-shirt, goodie bag filled with locally donated products, and free entrance to Jamaica State Park for the day. The race begins at South Londonderry’s Depot at 9 a.m., and ends at Jamaica State Park. It is suggested that participants park their cars at Jamaica State Park and take the race bus at 7:45 a.m. to South Londonderry’s Depot. Participants are welcomed to run the full 11 miles or section the run as a three-person relay team. It is timed for competitors but open to all. New this year is the 5K fun run/walk. It will start at Jamaica State Park at 9:30 a.m. It is an out and back along the beautiful West River. ‘Eleven Miles of trouble’ article published in the The Manchester Journal on 04/04/2016 04:42:17 PM EDT. Do you know anything about Beulah Tinson Osgood? 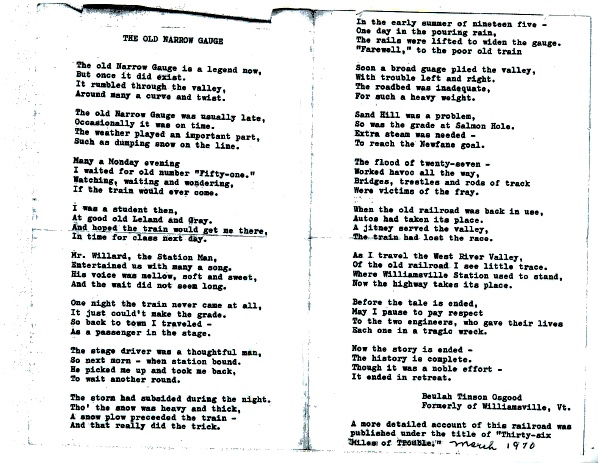 Jason Cooper found this poem tucked into an old book about the West River Railroad. It’s a wonderful story about one person’s experience years ago with the West River Railroad. If you know anything about the poem or the poet, please leave a comment! Thanks! The West River Trail is open. Please be aware that there are intersections between construction access and the trail path, and users should exercise extreme caution at these intersections. As an additional safety precaution, users of the West River Trail are reminded to keep pets on a leash in this area. Trail users should be aware that snow removal operations on I-91 may cause snow to fall on the trail. The next Trail Talk will be held on February 21. Check the I-91 bridge construction website for details. Friends of the West River Trail (FWRT) in the news. Story published in The Commons issue #292 (Wednesday, February 11, 2015), page B2. Written by Sarah Buckingham. LONDONDERRY—Work is about to begin to restore the former Newfane depot for use as a railroad museum. The Friends of The West River Trail (FWRT) learned more about this project, and others, when the group held its annual meeting at the former South Londonderry depot last month. Laura Wallingford-Bacon, president of the Windham County Historical Society in Newfane, said her organization purchased the 1880 building for $42,000 from the children of Fannie and Bill Mantel last fall. It had been in the Mantel family for around 50 years. The railroad went out of business in the 1930s. The purchase price includes historical artifacts in the station. The historical society plans to restore the building and incorporate a collection of artifacts from the West River Railroad that currently resides at the county history museum. South Londonderry and Newfane are the only two of the 10 original depots from the West River Railroad that still sit at their original sites. Other surviving depots that were later relocated can be found in West Dummerston and Williamsville. Wallingford-Bacon said the historical society hopes to raise funds to offset the purchase price and to restore the property and they have received an “encouraging response” to that campaign. The restoration will take place in six phases, with an estimated total cost of around $50,000. The first, and most urgent, phase — addressing drainage and replacing the roof — is expected to cost $16,000. At the annual meeting, FWRT board members Lester Humphreys and Paul Cameron gave a presentation on the Riverstone Preserve, a 23-acre parcel which the group acquired in 2013. 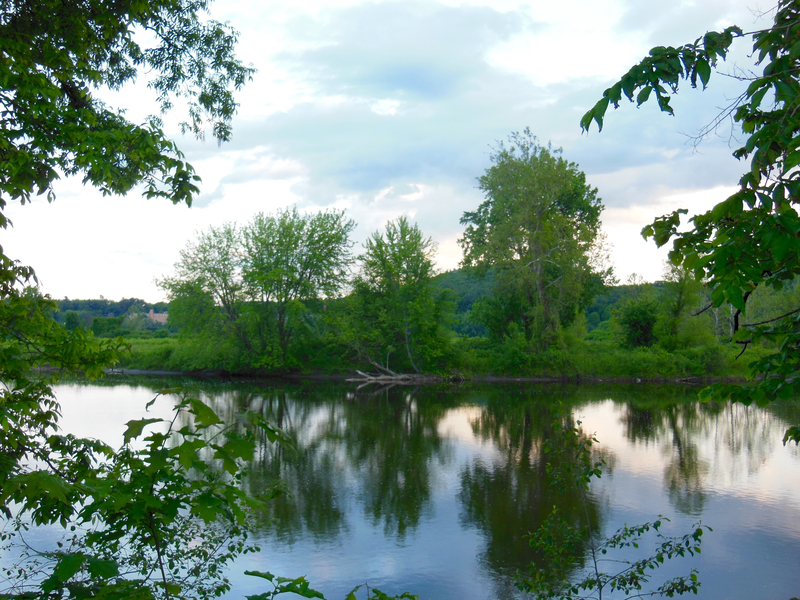 The land sits one mile north of the Marina restaurant in Brattleboro, between the West River Trail and the river itself. The southern section subcommittee purchased the land for $97,000. One-third of the purchase price was raised in donations and the rest came from a grant from the Vermont Housing Conservation Board. 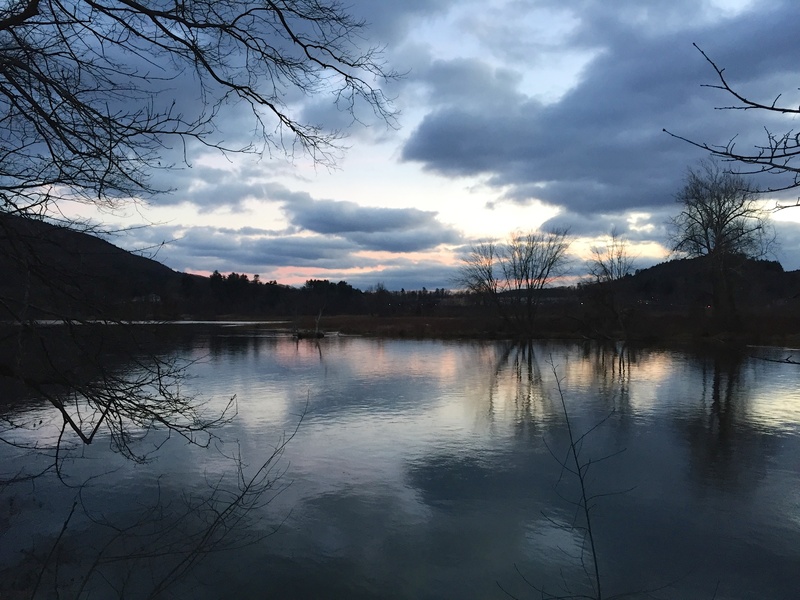 The Vermont Land Trust holds a conservation easement on the property. Cameron gave an overview of the plant communities in the Riverstone Preserve, which include a sugar maple ostrich fern flood plain community; a river shore grassland that is home to several rare plants such as the great lobelia; and a river cobbleshore, where the FWRT are working to control invasive Japanese knotweed, the worst of several invasive plant species in the preserve. Cameron also reported that last spring a volunteer group formed to develop a management plan for the preserve. So far the group has completed a drainage project, built a trail connector with a board walk, removed an old shed, and continues to work removing invasive species. More volunteers are needed for projects happening this summer. FWRT would like to build stone steps, picnic table, a pavilion or shelter of some type, and an information kiosk. The FWRT board of directors elected Greg Meulemans as board president and treasurer. Humphreys was voted in as vice president of the board and assistant treasurer for the trail’s lower section subcommittee, and Sharon Crossman the assistant treasurer of upper section. Meulemans reported that FWRT has received a grant for mile markers which will be modeled after railroad markers and be installed along the trail this summer.